Emma Slater & Sasha Farber Celebrate First Easter Together as Married Couple | Emma Slater, Sasha Farber | Just Jared Jr.
Emma Slater and husband Sasha Farber share a sweet kiss while out and about in Los Angeles over the past weekend. 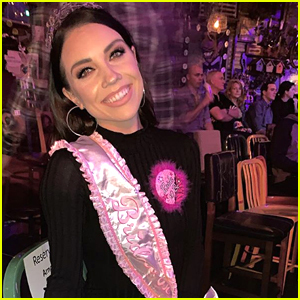 The two DWTS pro dancers and newlyweds picked up a sweet treat ahead of the Easter holiday – they’re first since getting married the previous weekend. Emma and Sasha joined her family – twin sister Kelly and parents Robin and Julie - for Easter. “Nothing better than family. Mum, Dad, Kel, I’m never happier than when we are all together. I love you so much,” Emma wrote with a sweet pic on Instagram. DWTS' Peta Murgatroyd, Emma Slater, & Evanna Lynch Attend 'Dancing With Keo' Launch Event! 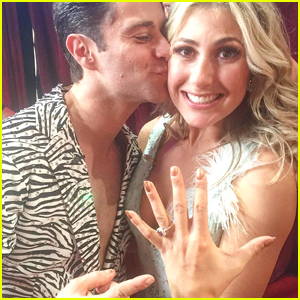 Dancing with the Stars' Sasha Farber & Emma Slater Are Officially Husband & Wife! 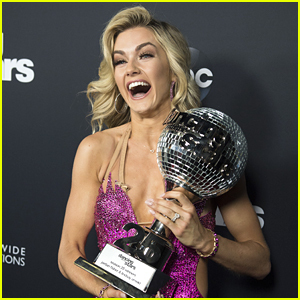 'Dancing With The Stars' Season 25: Emma Slater's Celeb Partner Revealed!